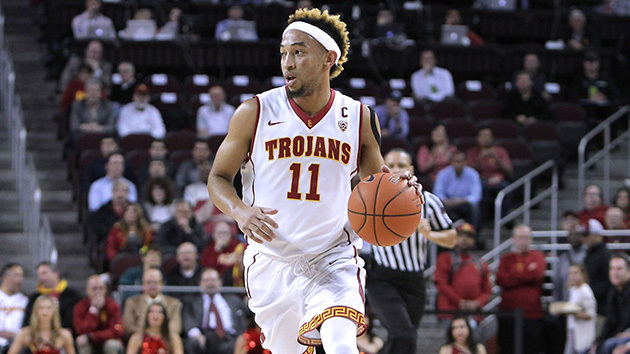 Everything you need to know about the USC Trojans as they begin the NCAA tournament. The Case For: USC’s best trait might be its balance on offense. Five different Trojans average at least 11.5 points per game, led by McLaughlin. All five are capable of leading the team in scoring on a given night, and that gives them the ability to score when one or two of them get into a rut. While McLaughlin averages nearly five assists per game, he doesn’t lead the team in that category. That honor belongs to junior guard Julian Jacobs, who checks in at 5.5 per game. The Trojans are also 28th in three-point field goal percentage in the country. All of that points to how well they move the ball on offense. The Trojans have just one RPI top-25 win on the season, a 103–101 quadruple overtime triumph over Arizona at home. With that said, they did win four more top-50 games, and were an even 12–12 against the top 100. USC didn’t suffer any sub-100 losses, and all of their losses outside the top 50 were away from their home floor. USC showed enough in the regular season to make it a legitimate threat to get to the second weekend of the Big Dance. The Case Against: First of all, this team really sputtered down the stretch, losing seven of their last 10 games, including the Pac-12 tournament. Two of those three wins were over tournament teams (Colorado and Oregon State), but there’s no doubt the Trojans looked better six weeks ago than they do heading into the NCAAs. The Trojans were 37th in adjusted offensive efficiency, but they owe a lot of that to their three-point shooting. They were just 153rd in the country in two-point percentage, and shot 67.9% from the foul line as a team, which placed them 253rd. They’re going to get in trouble if they get in a free throw shooting contest, and they can go cold for long stretches because of their middling performance inside the arc. The Trojans struggle cleaning up the defensive glass, letting their opponents pull down 31.8% of their misses. That’s not a trait any team wants to carry into the NCAA tournament. Second-chance points could ultimately be this team’s death knell. Their overall offensive balance is mostly a positive, but at some point during the tournament, every team is going to need someone to go and get them 25 points. McLaughlin has to be that guy, though he scored more than 20 just four times in Pac-12 play.